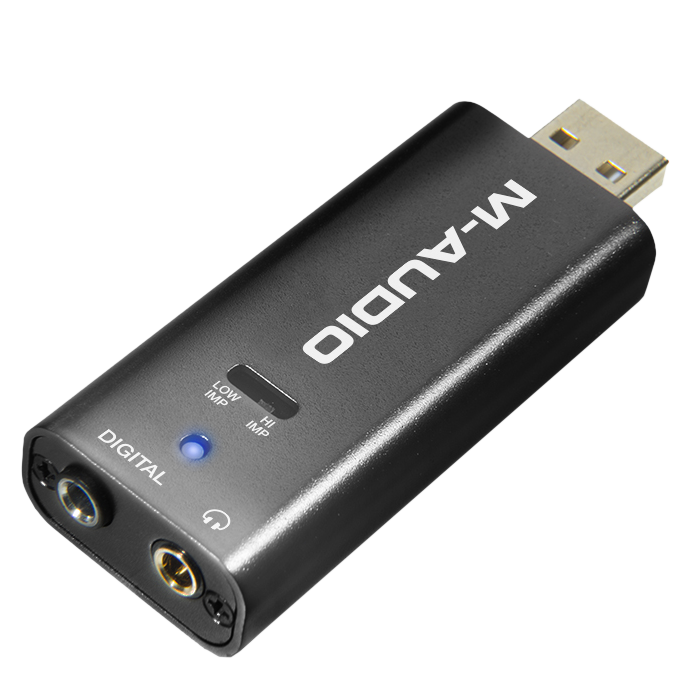 The M-Audio Micro DAC is a portable USB digital-to-analog converter with digital and analog outputs. This article answers some common questions about it's features and functionality. What is the impedance switch used for? It's important to understand impedance in order to properly use the device with your headphones. Using the low impedance setting with high impedance headphones will result in low volume and possible some noise or hiss. Adversely, using low impedance headphones with the high impedance setting could cause distortion, overload, and potentially damage the headphones. It's important to note that although this does look like a common RCA cable, a connection type popular with most home stereo units, the signal is digital and not compatible with the standard AUX input on your stereo. This will require a specific digital input which will often be colored yellow and featured on it's own on the back of your receiver, TV or other device. Check with the manufacturer of your device to find out if it has any digital inputs for this use.